We encourage residents and visiting guests to utilize our free bus service as a way to cut down on emissions and lessen roadway congestion. Additionally, if you don’t have a vehicle while living in or visiting Mountain Village, you can access all town buildings, services and amenities at designated bus stops during the summer and shoulder months via our bus service. The Town of Mountain Village is partnering with the San Miguel Authority on Regional Transit (SMART) to offer the spring bus service. The off-season service will run from Monday, April 8, 2019 through Wednesday, May 22, 2019. Changes for this year include an earlier departure from the Meadows to Telluride at 6:35 a.m., and a shorter loop in Telluride that terminates at the San Miguel County Courthouse. The shoulder season service is funded by SMART and operated by the Town of Mountain Village. 6:15 a.m. to 11:20 p.m. The Telluride Mountain Village Owners Association (TMVOA), through a contract with Telluride Concierge, LLC, offers Dial-A-Ride as another form of free transportation for our TMVOA member residents and their visitors to and from most locations within our town limits; gratuity is recommended. There is a limit of 200 trips per residence. Once this has been exceeded, TMVOA will charge $8 per trip. Dial-A-Ride operates seven days a week during the winter and summer seasons (not during shoulder seasons). Hours of operations are Sunday through Thursday from 6:30 a.m. to 12:30 a.m. and (Starting November 16 through April 8, 2019) Friday through Saturday from 6:30 a.m. to 2:30 a.m. In some instances Dial-A-Ride hours are extended in conjunction with extended gondola hours; refer to our event calendar. To access this public service amenity, follow these steps. Dial (970) 728-8888 and provide your pickup location, your destination, and number of people in your party. Telluride Concierge mandates a three-minute wait time at drop-off, if round-trip service is requested. To report a Dial-A-Ride problem, call (970) 728-1904 ext. 7 to reach TMVOA. 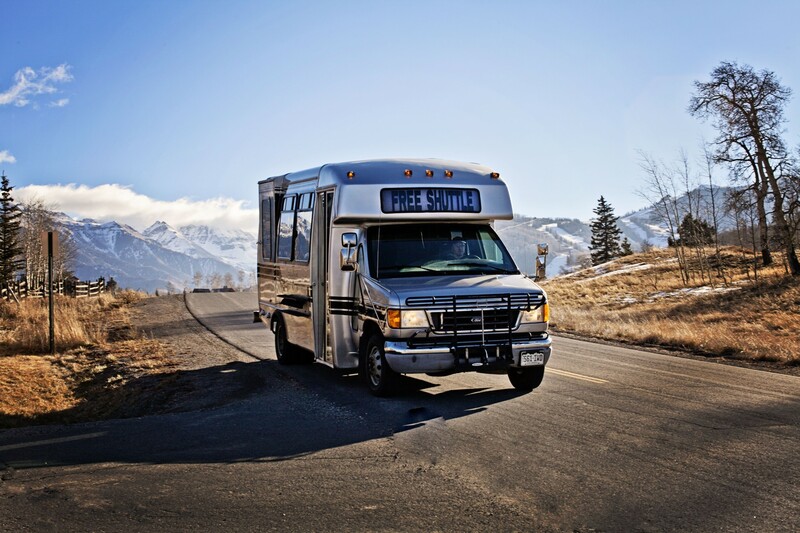 The Town of Mountain Village offers complimentary para-transit services 365 days per year. Hours of operations are 6:30 a.m. to 12:00 a.m. Friday and Saturday from 6:30 a.m. to 2:00 a.m.
To schedule your ride, please call (970) 729-3435, 24 hours in advance.